Colorado is home to many different landscapes and varies geographic features. It offers the snow-laden Rocky Mountains, hundreds of thousands of acres of grassland. Colorado has numerous hot springs across the state and wild rivers perfect for whitewater rafting. The snowy San Juan mountains offer world class skiing and snow-tubing. There is also a plethora of trails for hiking and biking during the warmer months. Colorado’s varied terrain and well-defined seasons make it an ideal place for adventure at most any time of the year. Noah’s Ark Whitewater Rafting– This Christian adventure park in Buena Vista offers canoeing, climbing and rappelling in addition to rafting. Rocky Mountain National Park Ministry– This group offers ministry opportunities and worship services in national parks all over the country, including Rocky Mountain National Park. Chapel on the Rock– The St. Catherine of Siena Chapel in Allenspark, Colorado is a designated historic site. The trails and Heritage Center of the Chapel have been recently renovated and updated for better accessibility for visitors. Easter Sunrise Service at Red Rocks– Denver, Colorado offers a unique worship experience with a special non-denominational Easter sunrise service at the beautiful open-air amphitheater of Red Rocks. Admission is free to this event. 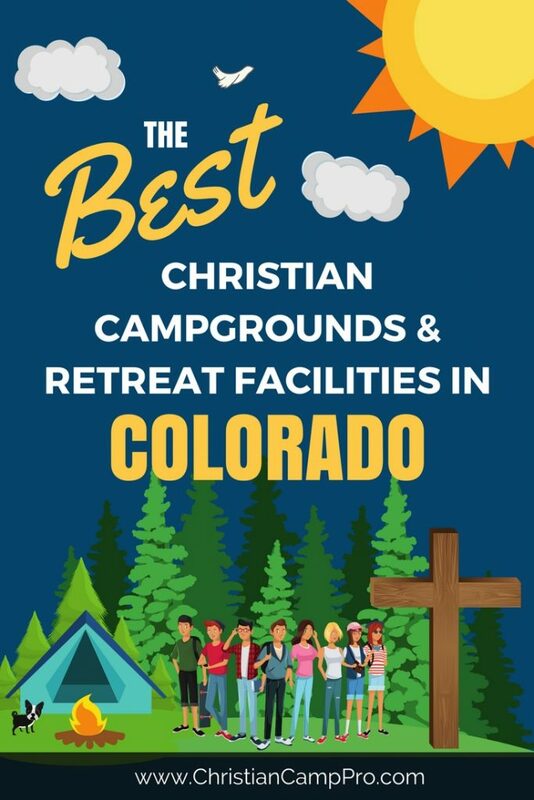 Colorado is well-known for its Rocky Mountains, but the state offers much more for those looking for a place for a youth camp or adult retreat. The diverse landscape and changing seasons makes it ideal for a host of activities and offers an exciting chance for adventure to suit everyone’s tastes.